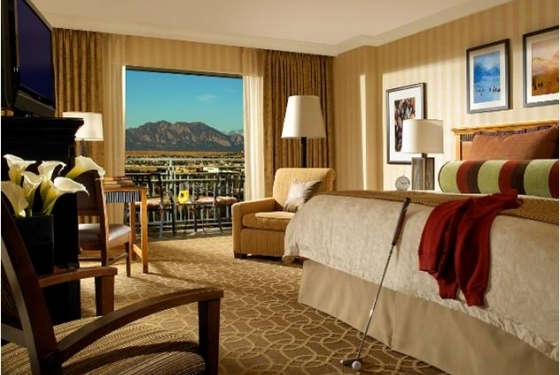 The Omni Interlocken Resort and Spa offers 390 luxury guestrooms and suites, 40,000 sq. 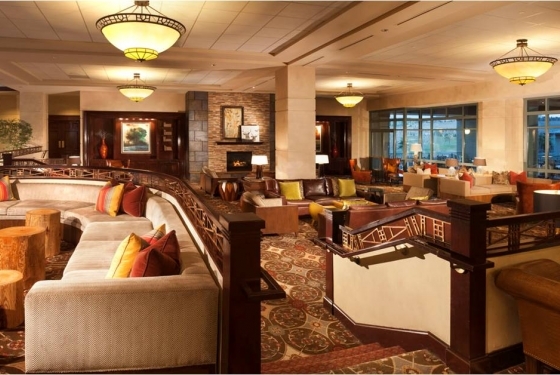 ft. of function space including two ballrooms, ten meeting rooms, a 4,750 sq. ft. outdoor pavilion, 27 holes of championship golf, full-service Mokara Spa, complimentary fitness center, two outdoor pools and five restaurants. Adjacent to the Omni Interlocken is Flatiron Crossing, boasting a wide variety of world-class shopping, dining and entertainment options. Only 30 minutes from DIA via the Northwest Parkway. 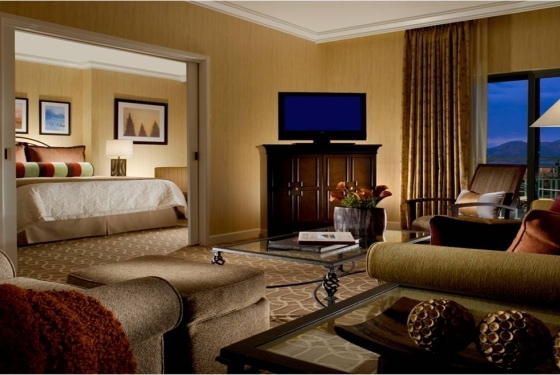 Experience Denver hotel accommodations in comfort and refinement at the Omni Interlocken Hotel. Discover pleasures to savor and relax among exquisite appointments in a deluxe guestroom or suite, complete with custom bedding, refined furnishings and tile baths. Outside your window are awe-inspiring views of the snow-capped Rockies or lush green valleys-and just wait until you witness your first, brilliantly hued Colorado sunset. 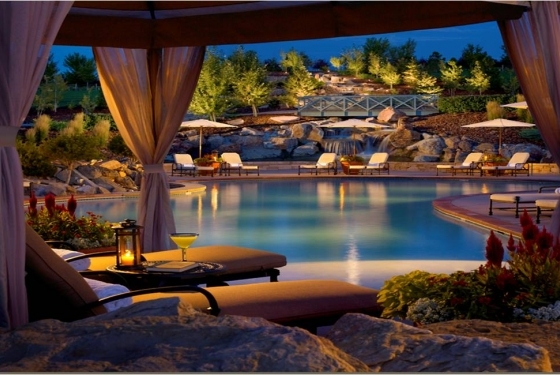 The Omni Interlocken Hotel and Resort offers the only destination resort-style experience within the Denver Metro area. With two golf course ceremony locations featuring flatiron views, two large ballrooms, and a 4,750 square foot outdoor covered pavilion, we can accommodate any vision for wedding ceremonies and receptions between 100 and 550 guests. Our indoor ballrooms offer crystal chandeliers, soft neutral wall and floor coverings, and dimmable romantic lighting for a classic, sophisticated event. 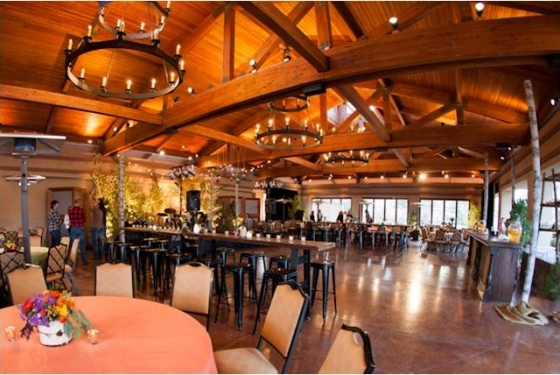 The pavilion features three iron chandeliers, sliding glass doors to allow for a light breeze in the summer months, and polished concrete floors for the perfect mix of elegance and rustic charm. Our three wedding packages ranging between $56 and $118 per person allow you to customize your wedding to fit your budget and your vision, and all packages include a complimentary champagne toast, your wedding cake, and a complimentary guest room for the bride and groom on their wedding night. Impress your guests with a hand-crafted plated, buffet, or reception-style menu created by our innovative culinary team, and party until the wee-hours with late-night snacks and drinks in our cozy Tap Room. Ready to start planning? Contact our wedding sales manager, Kate Mickel, at (303) 464-3227 or kate.mickel@omnihotels.com to book the wedding of your dreams.